The Certified Hospice and Palliative Nursing Assistant (CHPNA®) examination was designed for experienced hospice and palliative nursing assistants. To be eligible, the applicant must fulfill the following requirements by the application deadline. For the HPCC CHPNA® Examination, an applicant must have hospice and palliative nursing assistant practice of 500 hours in the most recent 12 months or 1,000 hours in the most recent 24 months under the supervision of a registered nurse in the United States prior to applying for the exam. Test site locations for computer-based certification testing are determined and available through the testing vendor, PS, Inc. These locations are subject to change. Locations are the same for all HPCC certification exams. The CHPNA® certification is valid for a four-year period. In order to renew, the certificant must sit for and pass the computer-based exam again prior to the expiration date of their current certification. The Hospice and Palliative Accrual for Recertification (HPAR) process is not available for this credential. 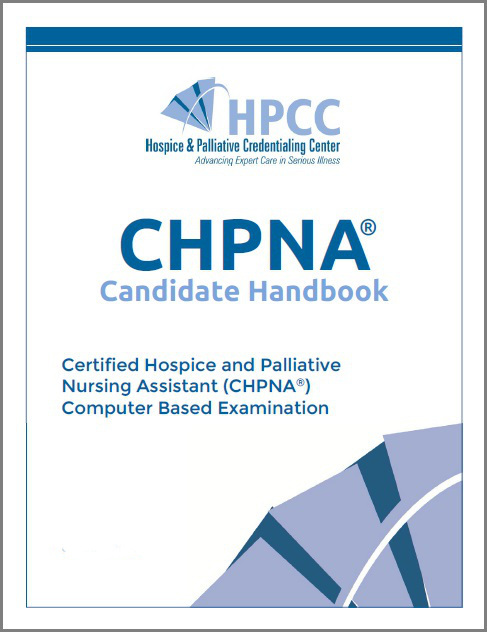 Refer to CHPNA® Candidate Handbook for exam information.